Description: Your buyers will love this cherrywood home priced right! Enjoy great mountain views from the brick patio or master suite. Snuggle-up with the two-sided gas fireplace on those chilly days. 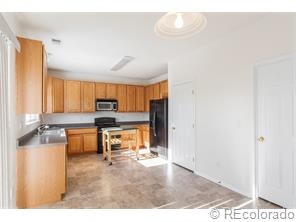 Kitchen features a custom island as well as refrigerator, microwave, stove and dishwasher. You'll love the bonus loft upstairs, workshop area in garage, wonderful rear yard trees, sprinkler and drip system, water softener, plus newer exterior paint and hot water heater. Convenient access to schools, shopping and highway.